Last Tuesday, the counsels of the Philippine Coalition for the International Criminal Court declared that the administration of Duterte started withdrawal from the Rome Statue of the ICC is invalid because of lack of agreement from the Senate. It is stated in the Article VII, Section 21 of the 1987 Constitution that no arrangement or international agreement shall be valid and effective except if conceded in by at least two-thirds of all the members of the Senate. The silence of the Constitution on the upper chamber’s part in the withdrawal of a treaty during the oral contentions on the solidified petitions testing the withdrawal from the international council was raised by associate Justices Lucas Bersamin, Noel Tijam and Francis Jardeleza. “We’re all very clear now that the language of the Constitution particularly Article VII, Section 21 relates only to ratification. It does not mention at all the termination or withdrawal of the state party to the treaty it accedes to,” Bersamin said. The Section 101 of Senate Rule 36 does not additionally give strategy to end or withdraw any of the treaty. 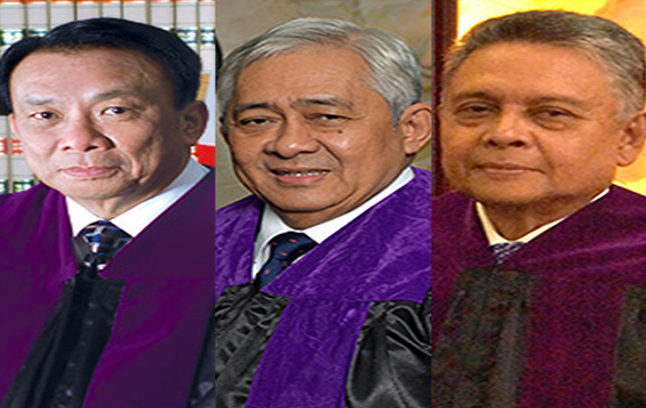 The advices of the petitioner contended that since the Rome Statute is a bargain truly went into by the Philippines and has a vague status from a law ordered by the Congress, withdrawal from the Rome Statute needs the endorsement of no less than two-thirds of all members from the Senate. PCICC lead direct Romel Bagares said that the “silence there of the text does not mean that the converse cannot be said as a principle that is also applicable,” amid the prior interpellation with Senior Associate Justice Antonio Carpio. Bagares also included, "The demonstration of pulling back from the arrangement isn't the sole territory of the president on the grounds that in the simultaneousness to the [approval] of the bargain, activity has been shared to the Senate. The absence of Senate agreement in the end of the arrangement is additionally one of the principle contentions raised by the other solicitor made out of restriction legislators Francis Pangilinan, Franklin Drilon, Bam Aquino, Leila de Lima, Risa Hontiveros and Antonio Trillanes IV. 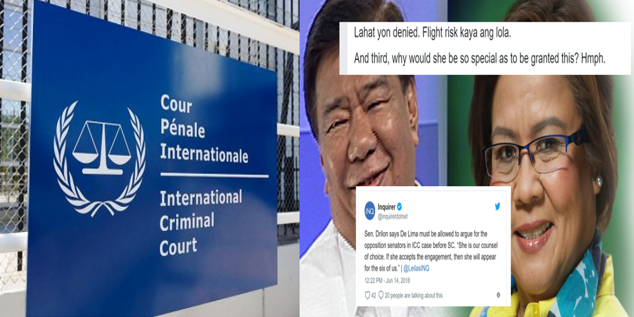 With 17 confirmed votes from the upper house and one negative vote courtesy Senate President Juan Ponce Enrile affirmed that the approval of the Rome Statute and the settlement which set up the ICC in April 2011, Approved by Benigno Aquino III.